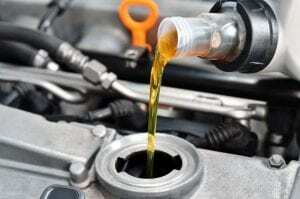 A regular oil change is essential for your engine’s efficiency and longevity of your vehicle. We proudly serve the lube, oil & filter change needs of customers in Hollywood, Florida and surrounding areas. Besides changing the oil and oil filter, we also do a thorough inspection of your vehicle making sure the tires have plenty of air, and the fluids are topped off. We can help you choose the best type of oil to use in your vehicle. Our skilled technicians will replace your engine’s old oil with new oil and replace the oil filter promptly. We will also lubricate different components of the vehicle according to the standards of the manufacturer making sure every part moves swiftly without causing any friction. At the end of every auto repair service, our courteous staff ensures that your engine oil is new, clean and the working parts of your engine are lubricated. An oil change and filter replacement are one of the first preventative maintenance measures that you take to increase the performance of your vehicle and extending its life. Motor oil helps to lubricate the working components and different parts of your car inside the engine ensuring there is no friction between them. Regular oil change helps to prevent tear and wear of different elements due to friction. Your vehicle’s engine generates a significant amount of heat, oil acts as a coolant and maintains the temperature of the engine. Oil and oil filter helps your vehicle’s engine running stronger, longer and operating at optimal levels of performance. If you have experienced any of the warning signs of old oil or if you have forgotten to change the oil for quite some time now, it is time to schedule an appointment with us at Hollywood, Florida. Our expert technicians know what type of engine oil suits your vehicle needs, whether it’s conventional, high mileage, or full-synthetic. We only use motor oil manufactured by top brands resting sure you know your car’s engine will perform better with improved distance and increased efficiency.